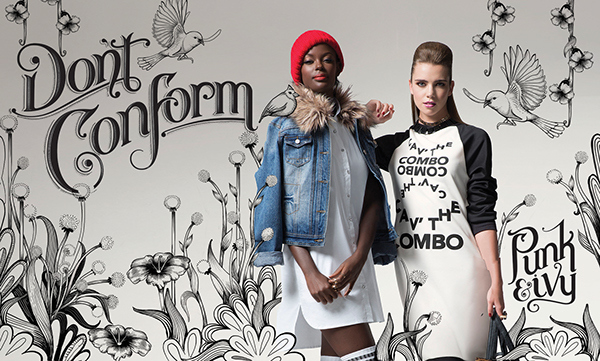 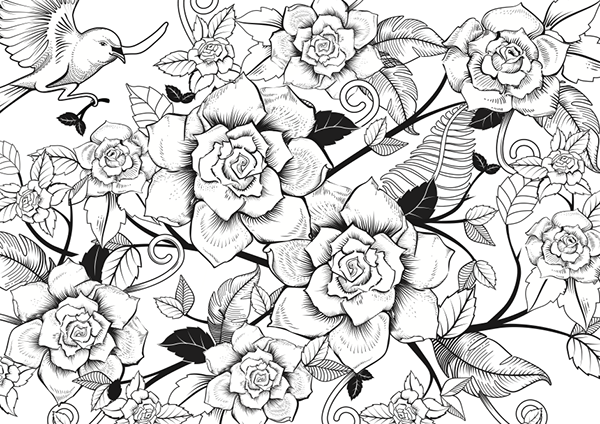 At the beginning of this year illustrator, Jade Klara, and I were commissioned to illustrated a series of 8 large format posters for LEGiT clothing stores across South Africa. 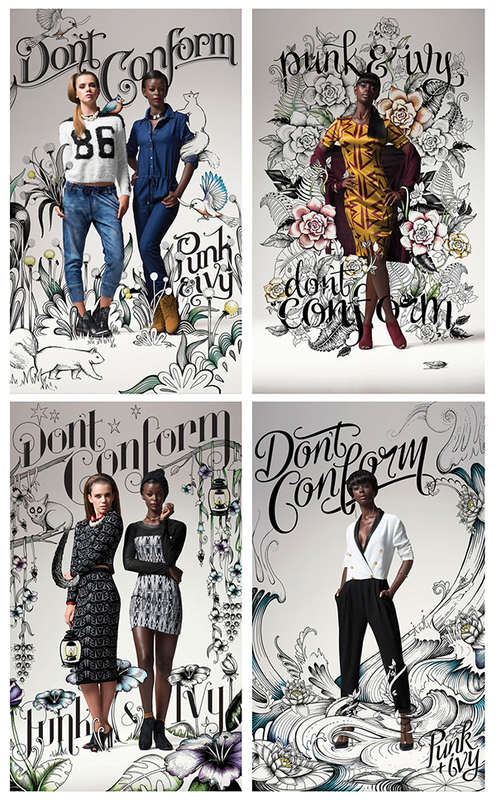 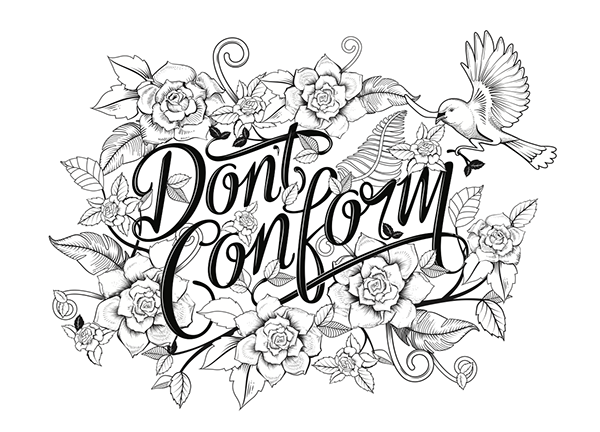 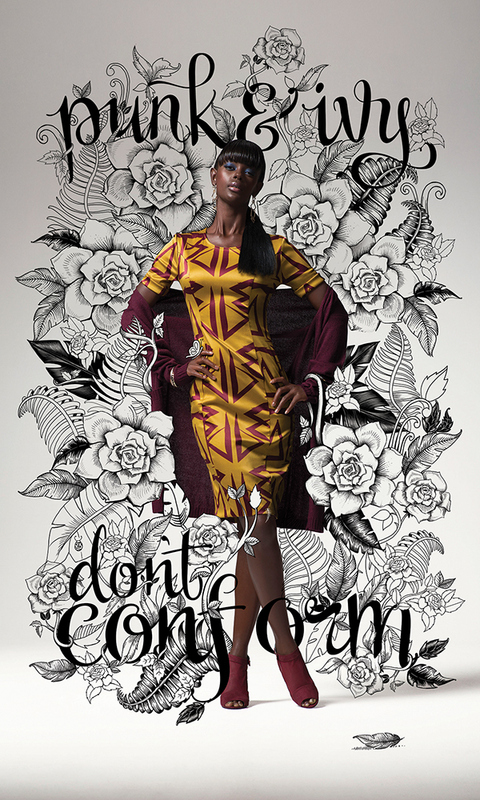 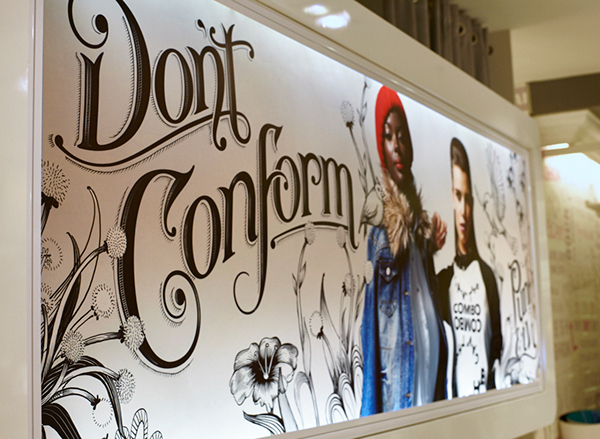 This artwork was then used across mutliple platforms as part of the Don't Conform Campaign. 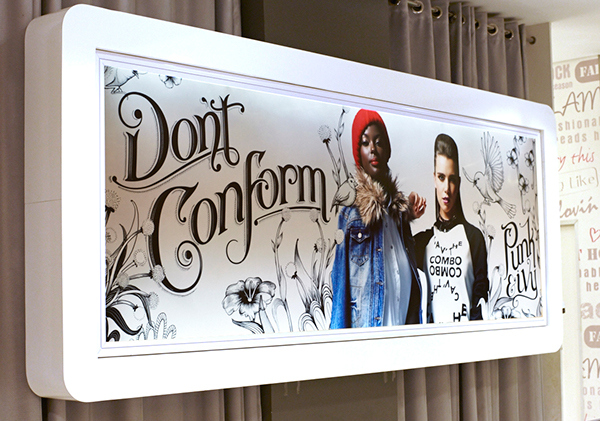 These are my four posters with application onto backwall murals and store-front window decals.